Minority Rights Group International (MRG) urges the Kenyan government to stop the illegal eviction of the Sengwer Community from Embobut forest, in the Cherangany hills of western Kenya, to pave the way for a World Bank conservation project. 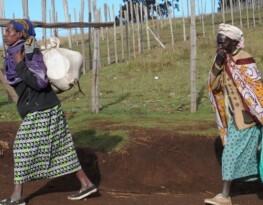 ‘It is the government’s responsibility to protect the community, and also respect the 2014 High Court ruling that halted the evictions, until proper and transparent procedures are followed with regard to the future of this indigenous forest community of 33,000 people,’ says MRG Africa Regional Manager, Agnes Kabajuni. The World Bank Inspection Panel also found that the Bank violated its safeguards in the conservation project in the Cherangany Hills. The Panel revealed that the border of the Cherangany forest reserves was moved. As a result, Sengwer families found themselves living inside the forest reserve and subject to eviction, and were never consulted about the border changes. Last week, according to Paul Kibet, Chairperson of the Sengwer Indigenous Peoples Programme, Kenya Forest Service guards torched down 40 huts belonging to 200 Sengwer people, injuring four women and three children, and destroying household property worth millions of shillings. The Sengwer’s problems started during British colonial rule in the 1950s, when their ancestral land was converted into a conservation area and the colonial government of the time forced them off their land. ‘However, we rejected this and came to the agreement that we can co-exist with our environment like we did before. We lived by hunting and gathering and did not destroy the environment,’ Kibet explains. ‘When the British colonial government left in the 1960s, the new leaders and their supporters grabbed part of our land, but we still had Embobut forest for ourselves,’ adds Elias Kimaiyo, a Sengwer community leader. However in the 1990s, the Kenyan government designed a harsh conservation programme that forcefully evicted all people from ‘purported’ conservation areas, including Sengwer. They were only allowed back onto their land after pleading with then President Daniel Arap Moi. But with the change of regime from Moi to President Mwai Kibaki in 2003, the Sengwer were again evicted. The Sengwer successfully secured a High Court injunction in 2014 stopping all the evictions until all outstanding issues were resolved with the government. But the Kenya Forest Service didn’t respect this and continued with the evictions, torching down 1,000 huts of belonging to 15,000 Sengwer, according to Kimaiyo. The evictions accelerated when the government secured millions of dollars worth of Reducing Emissions from Deforestation and Forest Degradation (REDD). The World Bank led REDD programme seeks to create financial value for the carbon stored in forests, offering incentives for developing countries to reduce emissions from forested lands and invest in low-carbon paths to sustainable development. The World Bank and the government proposed to compensate and resettle the Sengwer community. However, the Sengwer community rejected the compensation and wants to be allowed to settle in their ancestral land and interact with their environment, as they have always done. ‘We never destroyed our forest because this is where we derived our livelihood. In the past, we protected our forest jealously. It is the encroachers from other communities who came in for commercial harvesting of resources in our forest that destroyed it,’ says Kimaiyo. MRG believes the Kenya government must balance its noble desire to conserve the forest with its obligation to protect forest peoples. Minority Rights Group International is a non-governmental organization working to secure the rights of ethnic, religious and linguistic minorities and indigenous peoples worldwide. 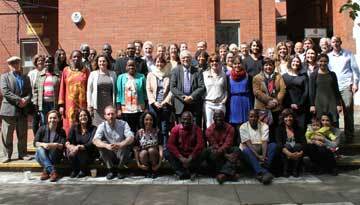 You can visit our website http://minorityrights.org/ for more information.